With the exciting conclusion of the 2010 DCI Tour still fresh in our memories, Drum Corps International is already getting set for next year and very excited to once again present our 2011 World Championships from the City of Indianapolis! 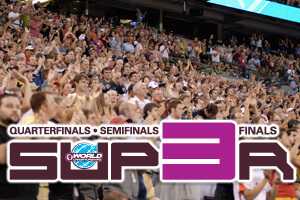 Offered for the first time since 2007, our Super 3 ticket packages will include seats at all three nights of World Class competition at Lucas Oil Stadium. Next year's Championships (Aug. 11-13) are only 300 some days away, so take this early opportunity to grab your seats in the section you want! Learn more and download the order form.